Last summer, we processed a very interesting new fonds here at RBSC. 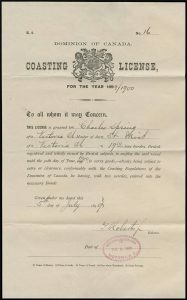 The Charles E. Spring (1859-1938) fonds provides great insight into the sealing industry of British Columbia in the late 19th and early 20th centuries, as well as the on-going campaign of one man to receive restitution for the loss of his business. 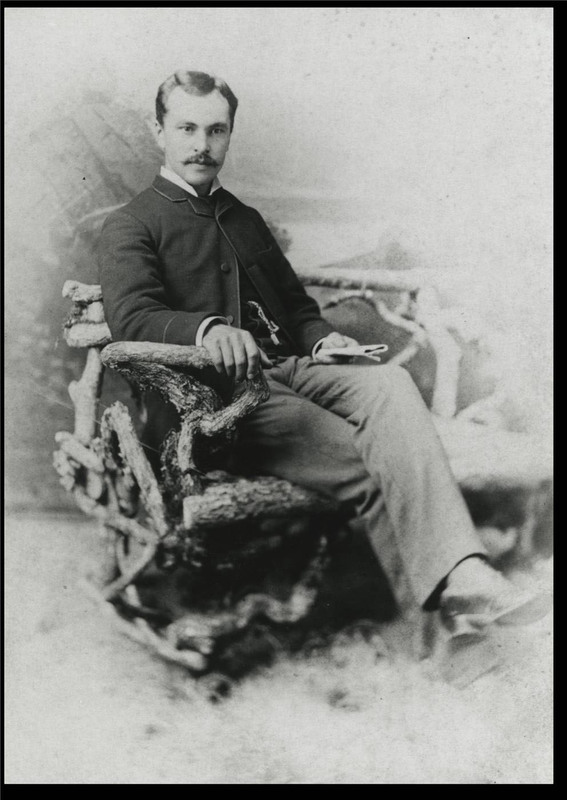 The son of a pioneering sealer and trader in British Columbia, Spring was educated in Victoria and worked for the Hudson’s Bay Company before taking over the family sealing business at the age of 24 upon the death of his father. Spring’s business suffered when, in 1885, United States cutters began seizing vessels caught sealing in the North Pacific in order to protect their sealing interests in Alaska. Later, in order to ease tensions between the United States and Great Britain over the Bering Sea controversy, a temporary agreement (the “Modus Vivendi”) prohibiting pelagic sealing in the Bering Sea was put in place for the 1891-1892 and 1892-1893 seasons. The resulting loss of revenue financially ruined Spring. Although Spring received a settlement for financial losses caused by the seizure of one of his ships and the “Modus Vivendi” during the 1891-1892 season, he continued to pursue claims for losses suffered due to the extension of the “Modus Vivendi” during the 1892-1893 season. He also became an active spokesman for other sealers in their claims. 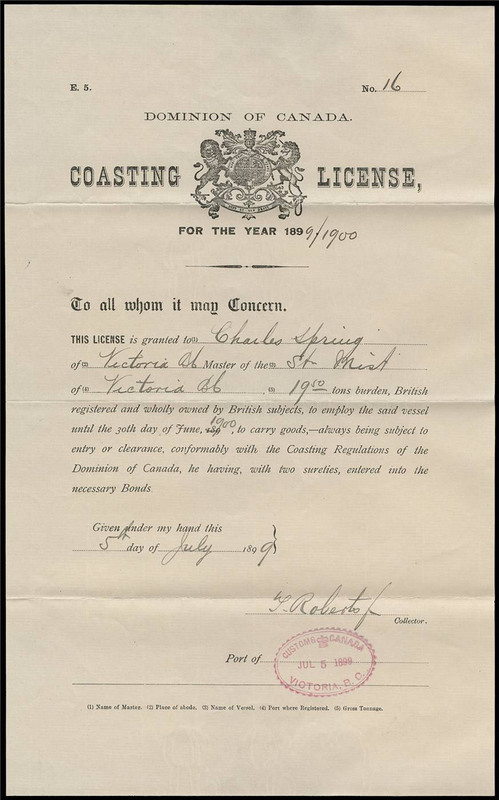 The Charles E. Spring fonds contains records spanning the period 1888-1937 relating to the sealing industry and Spring’s claims for financial losses. A number of items from the Charles E. Spring fonds have been digitized and are now available through the Adam Matthew research database “China, America and the Pacific: Trade and Cultural Exchange”. The database is available to UBC students and faculty with a campus-wide login, or to the larger community by visiting a UBC Library and logging on to a UBC networked computer. Database users will be able to view high-resolution scans of a number of items from the Charles E. Spring fonds, including the ledgers of several schooners, crew agreements, petitions, memoranda and memorials, correspondence, court papers, log books, photographs, and more. We’re so happy to be able to share these materials and this fascinating look into B.C.’s sealing industry with all of you. Items from the Chung Collection were chosen for inclusion in a new digital collection published by Adam Matthew Digital. The collection is called China, America and the Pacific: Trade & Cultural Exchange and is available to UBC users either on campus or authenticated from home.